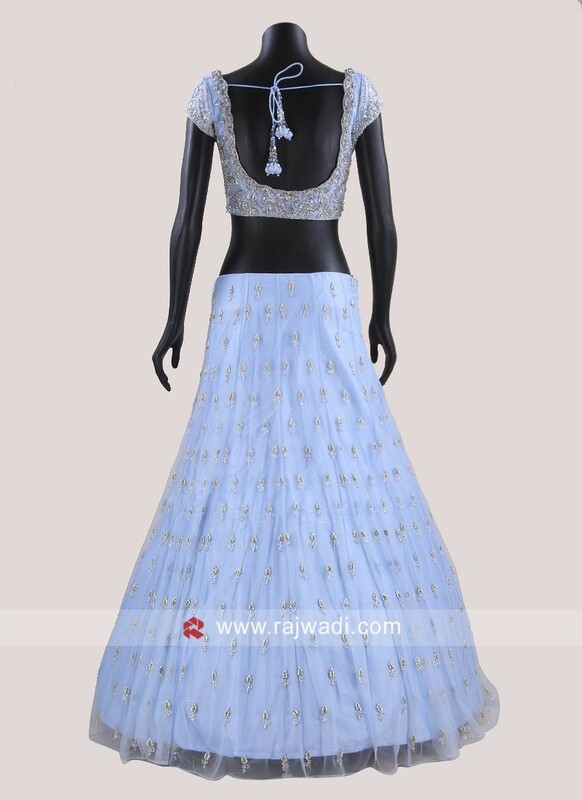 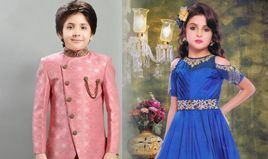 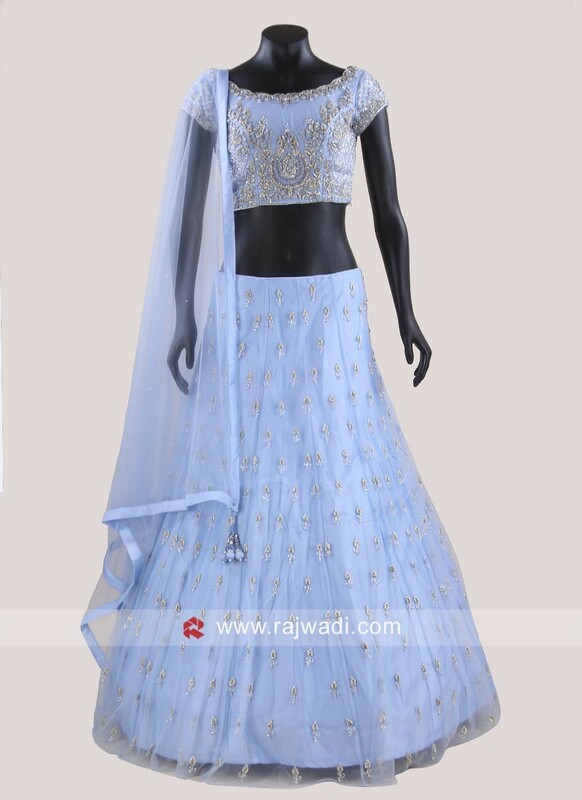 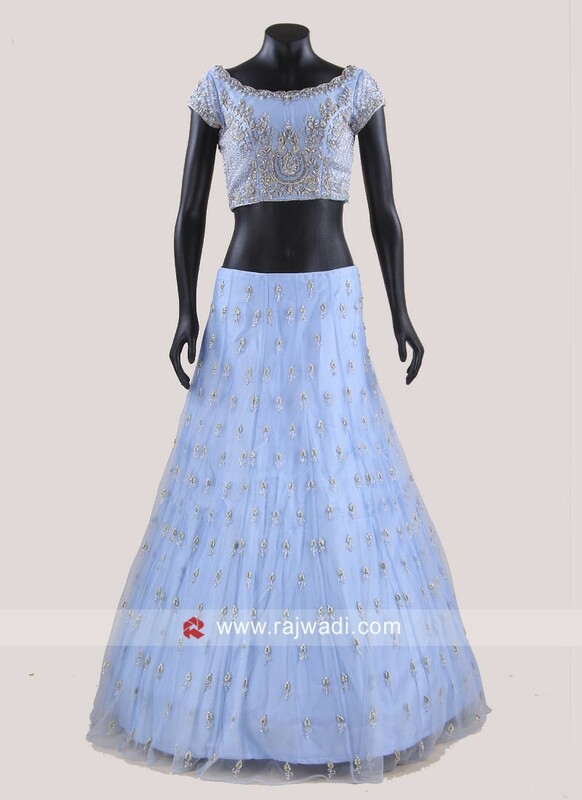 A Light Sky Blue Raw Silk and Net designer Choli Suit features embroidery work on it. 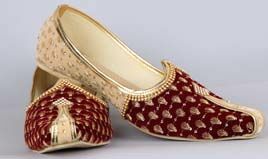 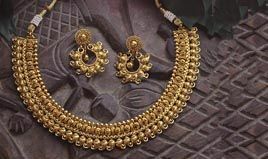 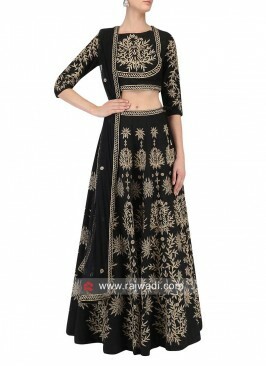 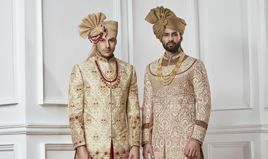 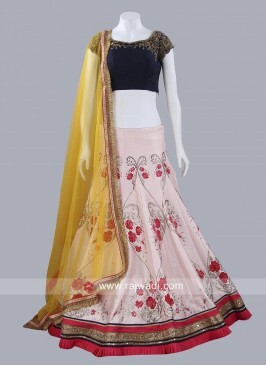 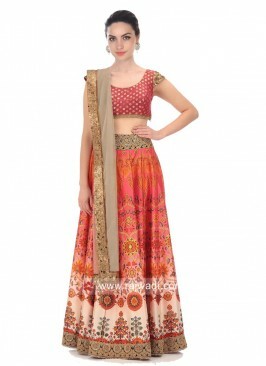 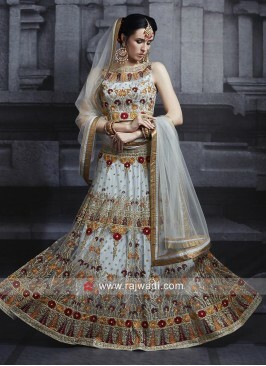 Comes with matching readymade Choli and Net dupatta to complete the look. 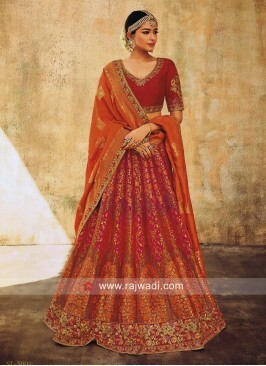 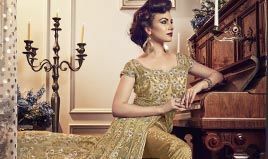 Beige and Red Lehenga Cho..
Red Taffeta Silk Lehenga ..